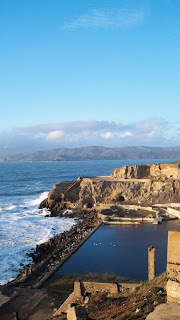 You Should Visit San Francisco! We are back and had an amazing time in San Francisco. I just can't get over how much I really enjoyed the trip. The food was amazing and there was so much to do there that we didn't even get to it all. We needed at least one more day, but don't you say that with every good trip? The first day we walked a million miles I swear. We walked through Chinatown and ate breakfast at Mama's (amazing) and then walked to Pier 33 to get on the ferry to Alcatraz. 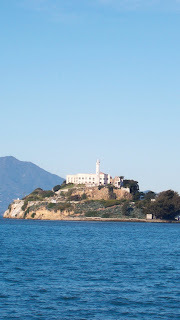 Alcatraz was very interesting and had some really great views. 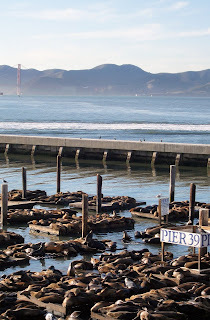 After we got back we went to Fisherman's Wharf and ate at Boudin which had the best Clam Chowder and stopped by to see the sea lions. 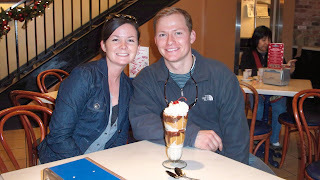 After that we headed over to Ghirardelli Square to have the biggest sundae I've ever seen! If you can't tell already, I'm in need of a diet from this trip. After an exhausting day on our feet we headed back to the hotel via the cable car and met up with my college roommate, Amy, for dinner at Osha to try Thai food for the first time. 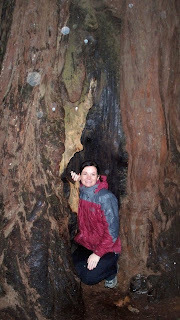 The next day we rented a Dodge Charger and started our venture to Muir Woods. 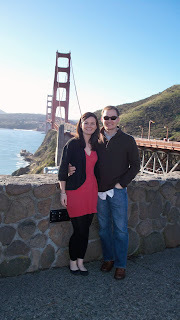 We crossed the Golden Gate bridge to take some pictures and then headed out to Sausalito for breakfast at Fred's Coffee Shop (also amazing). Finally we arrived at the woods after conquering some very curvy roads! 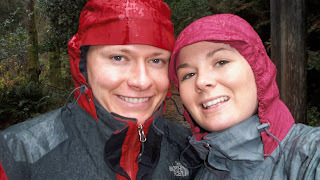 We were soaked from the wind and rain but continued on our journey to see more of the city with Amy as our tour guide. 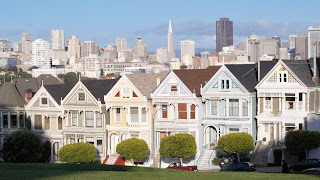 We saw the Painted Ladies aka the Full House house, Haight-Ashbury, an old bath house and some beautiful cliffs. After returning the car we did a little browsing around at Union Square and ate some great Mexican at Fronterra Grill. Our last full day was booked with a wine tour. 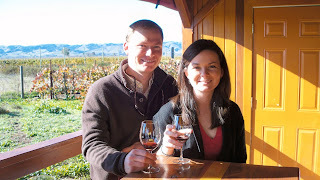 We had about 10 people in our group and went to 5 wineries (Homewood, Artesa, Milat, Cakebread, and Hopper Creek) in both Sonoma and Nappa. 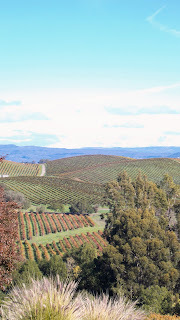 The views were wonderful and the wine was delicious. We ended the night by eating at another fabulous Mexican restaurant called Margarita's. Let's just say traveling back the next day was not a lot of fun! Now I'm off to do some Thanksgiving cooking. I have a lot of blogs to catch up on, but first I need to get settled back in to our new routine (if you can even call it that). how fun, we just moved there. Well I had already lived there... but it's great to be back. What a blast! I wanna go now! I have been and we really want to go and take our kids! I always wanted to... but never have had a chance. Lovely pictures. Hope that you have a great Thanksgiving! Welcome back! 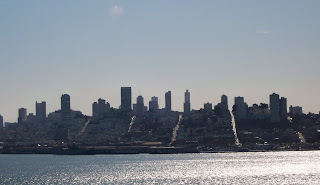 We're most likely going to plan a trip to SF pretty soon ourselves. :) Love the pics! I lived in the Bay Area (Berkeley) during my high school years, so looking at your photos totally bring back good memories. I was there for my friend's wedding almost 6 years ago and I think it's time for me to go and visit! We want to visit the US next year for the first time as a family. San Fransisco is on our list. Looks like you had so much fun! I'm jealous! We love SF! for an anniversary we drove up, starting in San Diego, the whole west coast on hwy 1 and hwy 101! so much fun! !